Days of Our Lives & The Bold and the Beautiful Score GLAAD Media Award Nominations! The 24th Annual GLAAD Media Award nominations have been announced this morning. And each year, the GLAAD Media Awards celebrate outstanding representations of the lesbian, gay, bisexual and transgender (LGBT) community and their allies on TV, in film, and in the news. These are the images and stories that bring the LGBT community closer to equality. 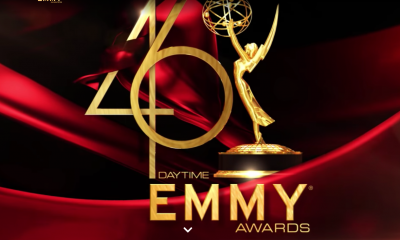 In the Outstanding Daily Drama category it will be Days of our Lives nominated for Sonny and Will’s love story featuring Chandler Massey and Freddie Smith vs. The Bold and the Beautiful with Caroline’s My Two Moms story featuring: Crystal Chappell, Joanna Johnson, and Linsey Godfrey who have been recognized for their achievements. In addition, HBO’s vampire saga True Blood was nominated in the Outstanding Drama Series category and will go up against: Smash, Degrassi, Grey’s Anatomy and the L.A. Complex! The GLAAD Media Awards will be handed out in three ceremonies: New York on March 16th, in Los Angeles on April 20th and in San Francisco on May 11th. Last year, the Daytime category was handed out in ceremonies in San Francisco. You can view the complete list of GLAAD Media Award nominees here. So soapers, who would you vote for between DAYS & B&B for their depictions? And in a world that stresses diversity and the importance now more than every of equality among all human beings, would you like to see a fully fleshed out story encompassing more gay characters on the other current daytime soaps? Yes, General Hospital’s Felix was just brought on the canvas too, but we have to wait to see if more of a story also develops for him, or not. Weigh-in! Alison Goodman Named Casting Director For One Life to Live & All My Children! Days really deserves this award! It could not be any show but DAYS. I thought ATWT and OLTL did an awesome job with its gay storylines but this DAYS plot has me riveted! 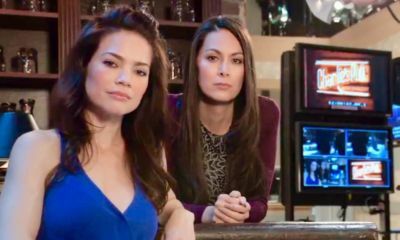 B&B did not do service to its lesbian aprents storyline, but at least something is there! Make it a fourth from me! DAYS all the way. 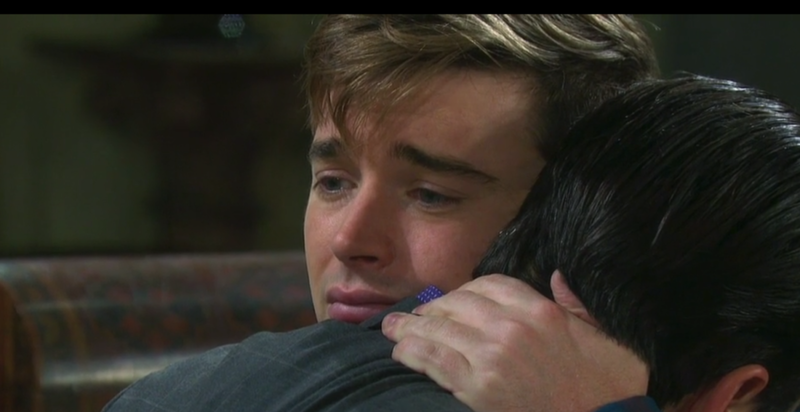 Yes this latest bit with Gabi has really soiled a lot of the great work done before it, but overall DAYS put A LOT of time, effort and good work into Will’s coming out, everyone’s acceptance and Will and Sonny’s love story. Beautifully written, gorgeously acted and executed better than nearly any other show’s (tied maybe only with ATWT). CC on BB does not an award make. They had a 2 week story and then zilch. It doesn’t even rank. GLAAD !!!!!!! Diversity, Equality, We ALL BELONG !!!! We Are a PART of YOU. 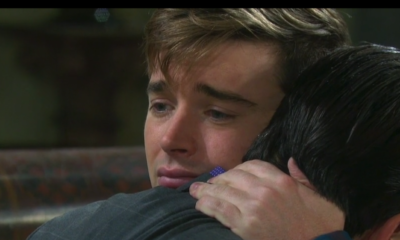 DAYS – Will and Sonny…. Love Them…. B&B – Danielle and Caroline…. Rock ON Crystal Chappelle. ENJOY YOUR LIFE. You give back so much to this Genre w/your on-line Work. Y&R – ???? Get on Board. You’ll notice that Y&R gets FAR better ratings than DAYS. Maybe Y&R likes being #1 and doesn’t want to risk losing many of their viewers. The gay storyline is not why DAYS is losing ratings, the bad writing is. People want less Dannifer and Sami triangles and more of our vets! hollywood smugly congratulates itself for being “tolerant” w/ these glaad “awards” w/c are a joke. hollywood screams against homophobia but is openly racist to people of color and especially to Asian americans. of course it’s bec hollywood thinks the white lgbt community is a more “special” minority group compared to African americans and latinos and especially Asian americans! glaad “nominated” smash?! is glaad seriously that delusional?! ny based smash got rid of their 1 Asian romantic leading man who was not portrayed as your stereotypical asexual Asian american char. hollywood loves to portray Asian males as asexual yet who wrote the kama sutra again? billions from the Asian population yet they’re all asexual males according to “tolerant” hollywood. Typical hollywood racism. 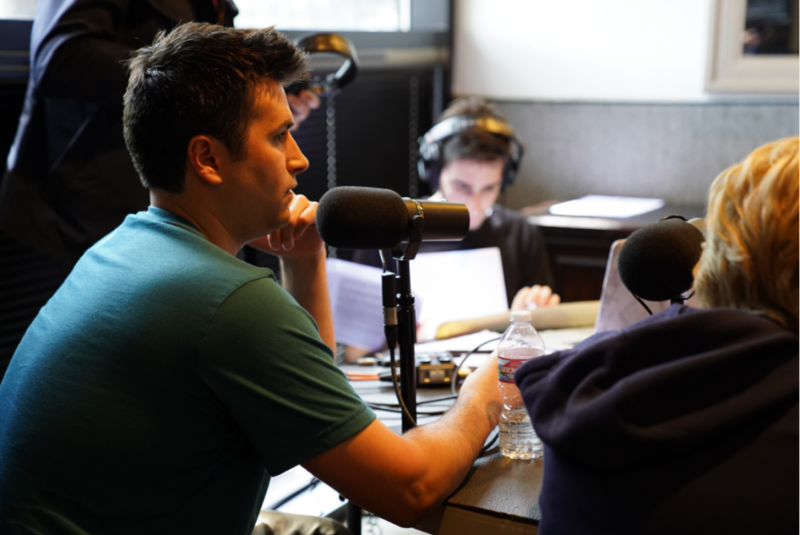 Asian americans are portrayed by hollywood as dorky and accented men who are often asexual. while hollywood hypersexualizes latinos and black americans w/ these high pregnancy rates. thus being white becomes the “norm” and the “ideal” w/c racist hollywood loves. it’s a form of social control to make racial minorities worship whites as the “standard”. it’s hollywood’s version of white supremacy. smash is being whitewashed even more by getting rid of 2 racial minority male chars and creating even more white chars! pathetic for an ny based tv show! white privilege has been around for centuries. it’s manifested thru hollywood’s institutionalized racism by suppressing the presence of racial minorities and removing racial diversity from tv shows like smash thru whitewashing. typical of trashy “art” from hollywood when heck even jesus was even whitewashed on paintings! of course smash gets rid of dev and ellis who are the 2 racial minority males who were portrayed romantically but it keeps the gay chars and puts even more white chars. typical from “tolerant” hollywood: a majority white ny based tv show. smash’s ratings are blamed on the racial minority men and its rebooted to get rid of them. Dev was paired as the bf of the lead female char “acted” by horrid katherine mcphee. but of course the smash reboot gets rid of dev and pairs her w/ new white chars and w/ “bombshell’s” white director. Disgusting! Would glaad “nominate” an ny based tv show w/c got rid of its gay chars and replaced them w/ straight chars? of course not bec they’d scream homophobia. yet whitewashing ny based smash of its racial minority male chars is not a problem for “tolerant” glaad. I’m glad you see the irony in all this “tolerance” .. GLAAD is a powerful lobbying group and has successfully bullied TV and movie producers into including gay characters on almost ALL shows – never mind that ALL LGBT people make up only 3% of the population. They must be represented, DAYS makes it look like 20% of their town of Salem is gay. Other minorities, that actually have far MORE members in the REAL world, are barely seen in soaps or any other form of entertainment, especially in comparison to how many gay characters we see all the time! I realize that gays are highly represented in Hollywood, but those of us in the REAL world rarely encounter gay people. We are far more likely to encounter people of diverse races, the handicapped, people with devout faith – how many of THOSE types of people do you ever see on TV ? ! A few years ago here in Canada there was a case where a gay student was being banned from his Catholic high school prom because he wanted to bring a date. The reasoning at the time was because his life style conflicted with morals and the teaching of the Catholic Church allowing him to attend would be condoning his behavior. As a Catholic, I remember thinking at the time, if morality was the issue, then why weren’t straight students who practice immoral behavior against the teaching of the Church not banned as well? Why was one particular immoral behavior the sole focus- if morality was the issue? Likewise, I never understood soap viewers who object to gay story lines based on morality. They don’t want to watch because according to their values homosexual is wrong. But they are willing to watch other immoral behaviors such as lying, fornication, adultery, murder, and other soap standards. The Bible states tattoos are wrong, so do they avoid watching all actors who have tattoos? If their values mean that much to them then by their own reasoning they should not be watching soaps at all. Everyone is entitled to their views, but in the Scriptures I read, God detest hypocrisy more than any other sin. So I can only hope @maddiehayes and others like her will remember that bit of truth as well. These awards are not given out to promote homosexuality, but to acknowledge shows that portray gay people as people regardless of their sexuality. No matter what people do —they still are. the thing I hate is the way the media is using propaganda about gays to change people’s minds, thus promoting social engineering, like gay marriage. If people knew the truth about the gay lifestyle, they would never vote in favor of “normalizing” it and making it “equal” to the relationship God ordained. As I said in another post, more than half the population believes gays make up 25%. They don’t personally know anywhere near that amount of gays, they just see them on TV. And yes, I am fully aware that we are ALL sinners, we should not judge others. But homosexuality is NOT portrayed as sinful on DAYS, far from it! The sinful ones are the ones who think it is wrong (never mind what the Bible says). You don’t see this amount of pimping for all the other immoral behaviors you listed. You don’t see anybody on the show saying “If you think Sami is bad for lying and committing adultery, well, you’re just a bigot!” Not so the gay story. Victor went so far as to say “If you think there’s anything wrong with it, well, you’re just ignorant”. Slap in the face to those who believe in the Bible. I wouldn’t be surprised if Father Eric performs Will&Sonny’s gay wedding. Days and Degrassi, my two favorite shows on TV, really deserve the award, B&B focused too much on the love triangles and too little on the lesbian storyline. I love WilSon! Go DAYS!